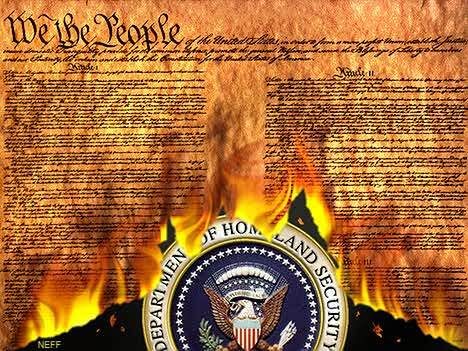 The “war on terror” completed the constitutional/legal failure of the US. The US has also failed economically. Under Wall Street pressure for short-term profits, US corporations have moved offshore their production for US consumer markets. The result has been to move US GDP and millions of well-paid US jobs to countries, such as China and India, where labor and professional expertise are cheap. This practice has been going on since about 1990. After 20 years of offshoring US production, which destroyed American jobs and federal, state and local tax base, the US unemployment rate, as measured by US government methodology in 1980, is over 20 percent. The ladders of upward mobility have been dismantled. Millions of young Americans with university degrees are employed as waitresses and bartenders. Foreign enrollment comprises a larger and larger percentage of US universities as the American population finds that a university degree has been negated by the offshoring of the jobs that the graduates expected. When US offshored production re-enters the US as imports, the trade balance deteriorates. Foreigners use their surplus dollars to purchase existing US assets. Consequently, dividends, interest, capital gains, tolls from toll roads, rents, and profits, now flow abroad to foreign owners, thus increasing the pressure on the US dollar. The US has been able to survive the mounting claims of foreigners against US GDP because the US dollar is the reserve currency. However, the large US budget and trade deficits will put pressures on the dollar that will become too extreme for the dollar to be able to sustain this role. When the dollar fails, the US population will be impoverished. The US is heavily indebted, both the government and the citizens. Over the last decade there has been no growth in family income. The US economy was kept going through the expansion of consumer debt. Now consumers are so heavily indebted that they cannot borrow more. This means that the main driving force of the US economy, consumer demand, cannot increase. As consumer demand comprises 70% of the economy, when consumer demand cannot increase, there can be no economic recovery. The US is a failed state also because there is no accountability to the people by corporations or by government at any level, whether state, local, or federal. British Petroleum is destroying the Gulf of Mexico. The US government has done nothing. The Obama regime’s response to the crisis is more irresponsible than the Bush regime’s response to Hurricane Katrina. Wetlands and fisheries are being destroyed by unregulated capitalist greed and by a government that treats the environment with contempt. The tourist economy of Florida is being destroyed. The external costs of drilling in deep waters exceeds the net worth of the oil industry. As a result of the failure of the American state, the oil industry is destroying one of the world’s most valuable ecological systems. Question: What can be done? Roberts: The American people are lost in la-la land. They have no idea that their civil liberties have been forfeited. They are only gradually learning that their economic future is compromised. They have little idea of the world’s growing hatred of Americans for their destruction of other peoples. In short, Americans are full of themselves. They have no idea of the disasters that their ignorance and inhumanity have brought upon themselves and upon the world.